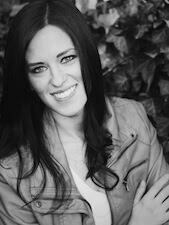 Welcome to the Blog Tour for Dominion by J. Kowallis! 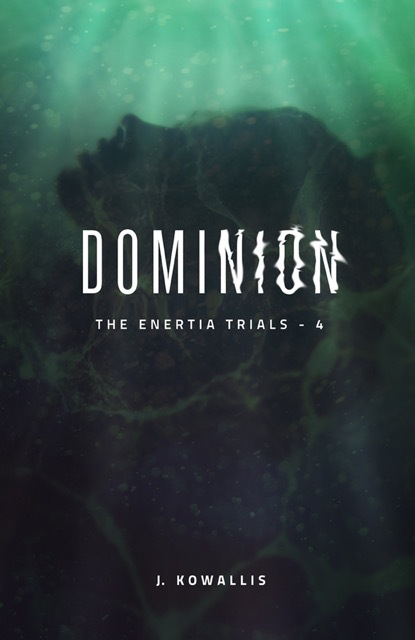 Dominion is the fourth and final book in The Enertia Trials Series. I am so sad to see this series end. It was such an exciting series to read. 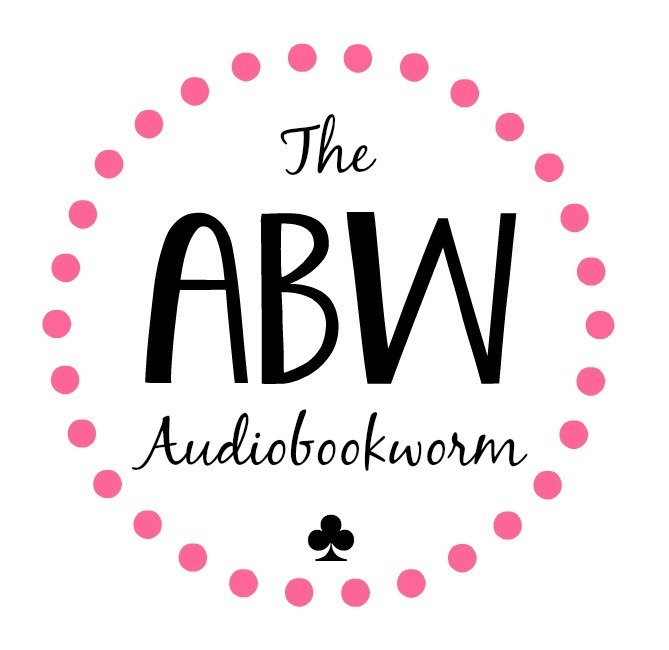 Today I have a review of Dominion for you, also J. Kowallis has stopped by to share some tips for unpublished authors! I hope you enjoy today’d blog post and that you check out this series. It’s so fantastic! With Reggie’s death, Nate and the others are forced to continue on in their attempt to defeat Roman with the help of The Rising—a rebellion movement thriving in the bowels of Public Two. New faces and mysterious secrets—hidden technology, lies, and darkness—from within The Rising shake the balance of their trust. When an unimaginable encounter infiltrates the rebellion, true identities are revealed and loyalties torn apart. In the end, there’s only one target that matters: Roman—and they’ll do anything to stop him from claiming dominion. What a finale! I flew through this book way too fast. From the very first page Dominion grabbed on to me tightly and didn’t let go until the very end. It was non-stop action the entire way through. I didn’t want to put it down and wouldn’t have it wasn’t for the lack of sleep I was running on. This is a book you will want to devour in one sitting. This conclusion to the brilliant Enertia Trials series lacked for absolutely nothing! Most of the time we read a book series, only to be let down by the final book. This was not the case here at all. There was never a dull moment. It picked up right where Duality left off and there were subtle hints along the way to remind me of how Duality ended so that I wasn’t confused by anything that was going on. It sparked my memory and I easily got right back into this world with some of my favorite characters. Just like with the other books in the series Dominion has great surprises, and twists and turns. Things get more intense and involved. It is another adventure that you will not want to end. It was so much fun to read. I can easily say that this was my favorite read of the year so far. I don’t know how Jernae did it, but she managed to pack so much punch into one novel and make it flow so effortlessly. This one just might be the most exciting to read of all the four books. It was so fast-paced, but never confusing. 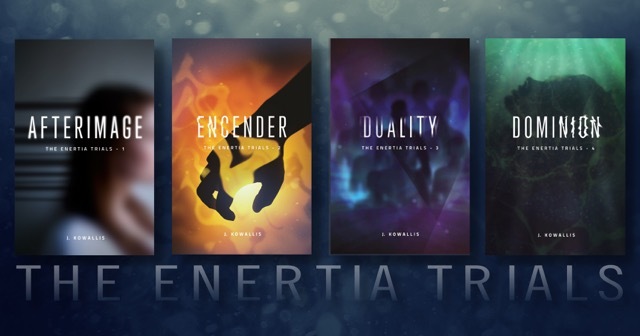 If you are looking for a dystopian series different from any other, and that will keep you interested and you will enjoy every second of reading-pick this one up. I promise you it will be worth every penny you spend. It’s pure entertainment and a series that I would DIE to see on screen one day. For instance, on that last “rule,” I’m going to have you suspend your obedience for a bit! Because I want to go through some seriously legitimate dos and don’ts that you probably should pay attention to, and they are most likely things you’ve heard before, and some that you may have not. 1) Write what you love, but make sure it counts. That one statement killed me. Not because I’m in love with the series, but as a writer myself, I would hope that the work I do and put out into the world is something I can be proud of for decades. No, not just decades. For the rest of my freakin’ life. You know, I’m reminded of a quote from one of my guilty pleasure movies: Easy A. Thomas Haden Church’s character tells the class, “I don’t know what your generation’s fascination is with documenting your every thought . . . but I can assure you, they’re not all diamonds.” Well, the same goes for stories–I’m sorry to say. But, I know the feeling. You’ve finished that first full-length novel, or short story, or poem, whatever it is and you just want to get it published! So, you hurry over to Wattpad and upload your work, feeling really proud of what you’ve accomplished (as you should be), but . . . is it the best you could do? Even published authors fall into this trap. Pressure from publishers and agents–even readers–shove them into getting the next book out the door, but that time that needs to be taken in order to fall in love with your work (and I mean true love. Like, you recognize where the faults are and you’re willing to work with them), and produce something you’ve polished and perfected is invaluable. If you can’t see yourself loving your work–no matter what the critics say–over the next seventy years, keep working on it, or honestly, toss it out. Because not everything you write will be a diamond. You should LOVE what you create and create what you LOVE. 2) Criticism is your blunt best friend. This includes joining a writing group (not just ANY writing group, but the best group for you). I remember one of my first writing groups I joined when I first started. It was online and it was myself and two or three other readers who I’d never met before. None of us were writing the same genre, and I didn’t like anything they were writing. It was really hard for me to be a positive critic at the time because I had zero investment in them or what they wrote. It wasn’t until I got deeper into the English department in college that I found “my niche.” Wyatt was writing Creole-voodoo-mythical ghost stories, Tom was writing poetry, McKella was writing urban fantasy, and Lindsey and Bob were writing something totally different while I was working on a “chic-lit” novel. We couldn’t have been more different. BUT, I respected their work, I knew they knew what they were talking about, and they all wanted me to succeed–as I did them. So, when we gave criticism to the others is was because we saw the potential of their work and what it COULD be. When you send your stuff to family members and friends, there is a good chance they will tell you what you want to hear, because they don’t want to hurt your feelings. But your goal is to improve (as all writers want to do), and if you seek out a “third party” they’ll tell you what you need to hear. Beta readers, writers groups, and writing colleagues are your polishing stone. Use them! Sharpen your work, and craft it to perfection! 3) Writing is a talent. Practice, practice, practice! That was one of the things I LOVED about studying creative writing in college. I was required to attempt poetry, short stories, flash fiction, essays, novels, non-fiction, and just about every type of creative writing you can think of. Attempting to squish an engaging story into 20 pages or less for a short story competition–or an entire story into a paragraph to win 1st place in the Flash Fiction contest (totally did it! )–is hard work. Harder even than writing a novel in a lot of ways. But, in doing so, you grow. Same goes for emulating the writers you respect. If you want to be as big or as engaging as your favorite authors, practice writing just like them. You’ll find you start to view words in different ways, and you’ll be willing to try new things in stories. Plus, you may find out that while you enjoy reading novels, your strength lies in humorous short stories like “Reply All” by Robin Hemley, or poetry like Robert Frost. While I know it’s really tempting to write a man who just “gets women,” who has money he can piss away on expensive cars, and a body that’s naturally lickable . . . or a woman who’s non-surgically large breasted, tiny waisted, and never has bad breath. It’s um, hard to suspend your disbelief as a reader. Personally, for me, I need some reality to my characters. I need a woman who is strong, but also needs to be saved sometimes. I need men who are either sensitive and romantic and also tell fart jokes–or a man who’s way into sports and has a little love handle around his waist because he loves his mom’s cooking. People have quirks, they all have a little nerd, terror, or strength in their own way. Your characters should be the same. Most importantly, your characters should progress and change. Sometimes, not always for the better. But in the end, they can’t be the same person they started out as. After all, I’m not the same person I was five years ago. Why should they be? 5) Read. Like, a lot. This is one of those, “I should practice what I preach” tips. But to show that I’m human, I’m going to admit, that like everyone else, I go through reading slumps. Like, yearlong reading slumps. And that’s okay, but when you decide you want to be a writer, reading is like your “study” time. It helps to give you the new industry knowledge. Kind of like doctors that have to become acquainted with new surgical techniques. Reading more also shows you what genres are becoming more popular. Most importantly, it gives you ideas for your own work. These days, there’s no such thing as an “original idea.” But how you present and formulate that idea CAN BE if you let it. Other people’s books enable you to become like Dr. Frankenstein, piecing together ideas from this book, or that non-fiction all into one glorious bit of writing that you can really shake the world with. For me, it’s indie music artists and television shows (aside from other books, that is). In fact, while I was working on The Enertia Trials, Wyatt–in my writing group–told me that I needed to work on Nate. Specifically, he told me that Nate reminded him of John Casey from Chuck and my “homework” was to watch John Casey. It was a show I’d never seen, but I was willing to improve my Nate. So, I watched. And gosh-darn-it, if Casey didn’t remind me of Nate. When writer’s block hits, I listen to new music, I switch to a new television show, or I pick up a new genre of book. I can’t tell you how many times I’ve been watching a movie and I’ll get an idea that either sparks a new book idea or solves one of my plot issues. I’ve even had an informational meme on Facebook that’s sparked a new project idea (Oooo, and you guys are gonna love it). Whatever it is, change it up, when you get in a slump. I’m reminded of another quote from F.R.I.E.N.D.S. where Freddie Prinze Jr. is the “Manny.” He talks about how the colorful puppets help to develop a baby’s mind, right? Well, your muses can do the same thing. Flashes of new inspiration get your slumpy brain into thinking in new ways. Let your brain do its thing and it’ll save you a lot of stress! You may write the next earth-shattering novel, but odds are, you’re going to get rejected more than you can imagine (and, it hurts). But like Amy in Little Women says, “You only need one . . . if [they’re] the right one.” Whether that applies to agents, publishers, beta readers, or book reviewers, once your work is polished, professional, and you’ve put your blood, sweat, and tears into it, the right people will love it. You just need to find them. Additionally, you can always jump on Goodreads, like I do, pull up the top New York Times bestseller authors that you love and read all of their 1 and 2-star reviews. It makes you feel a lot better about yourself. Not because you’re tearing them down, but because you’ll see that even the writers that you consider are THE BEST, still have people who hate their work. Realize what matters to you and stick to it. While you’re ultimately writing for others, you’re really writing for you too. And this goes hand-in-hand with rule #1: you have to make sure you love it. If you don’t, you’ll never be happy with your creation. When it comes to publishing, there are many options available to you. 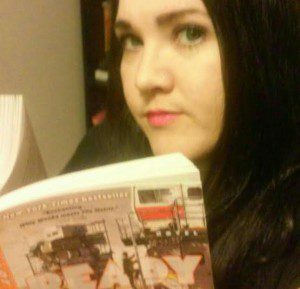 I spent over three years querying agents, pitching to agents, and reworking my query letter for agents. Mostly because I wouldn’t accept anything less than traditional publishing (prejudicially thinking that self-publishing was beneath me). I wanted hard-care, back-be-up, sing-me-praises proof that someone in the industry believed in my work as much as I did. Additionally, I didn’t have the funds to self-publish, so the option, when it did cross my mind, was quickly dismissed. But, also don’t let me put a stink in your nose about traditional publishing either. The truth is, either of these options could be perfect for you. In fact, many self-published authors are also “hybrid” authors, or are striving to be hybrid authors, who have work that’s traditionally published as well. There are pros and cons to both! As there are also pros and cons to different self-publishing options. Do your research and find the best path for you! You’re top priority is to get BIH. Books Into Hands. And this all starts with the cover design and layout of your work. Just know, right now, that if you want to have your work viewed as the professional masterpiece it is, it has to look like it. While it might feel good to say “don’t judge a book by its cover,” we all do it. Pretty covers and well-designed layouts always translate into more sales and readers. I can’t tell you how many times I’ve been told at conventions, “Okay, I have to hear your pitch.” And then in hushed tones, they follow up with, “Because everyone else’s books . . . look self published, you know?” So, invest the money (somewhere between $300-$1000 per book cover) because you’ll be glad you did. Next, learn from the mistakes of others (I might be waving a white flag right now) and invest in an editor! Unless, of course, you want to make version edits every six months on your published work. This is like the “salt” in your cooking. You don’t really notice when it’s there, but you know when it isn’t. Depending on who you hire, you could be spending anywhere from $1000 – $3500 to proofread or developmentally edit a novel. Then, between contacting bloggers (lots of bloggers), creating and posting attractive graphics, figuring out the best promotional tactics for you (the same tactics don’t work for everyone! ), and still finding time to do what you love–which is writing–it’s a two-job process. Plus, not to mention the post office runs, the emails that need answering, and the money that has to be spent for publishing and conventions and traveling (eventually), it’s intensive. But, totally worth it. Remember, the most important rule: you might be self-published, but you’re still professional. So, show that to the world.